We are accredited members of the British Promotional Merchandise Association, a long established accredited body of top professional companies. 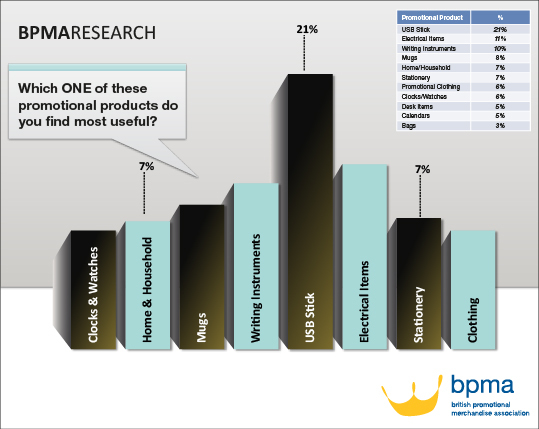 A recent survey from the bpma on perceptions of those receiving branded gifts showed some powerful results particularly against other advertising spend. Promotional merchandise can deliver a higher or equal ROI than most forms of advertising. 66% of respondents said they could remember the brand on the promotional product they received during the last year. 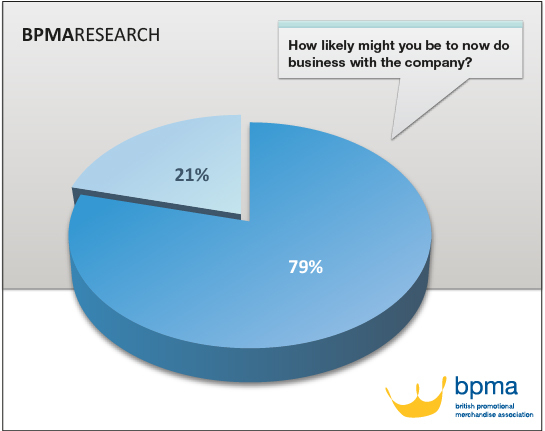 79% said they were likely to do business with the company in the future. 8 out of 10 (84%) respondents said that a branded promotional gift increases brand awareness. 56% of respondents said their opinion of the brand/company was more favourable after receiving the promotional product. The survey also found that the USB stick comes top of the list as most useful promotional item, followed by electrical items and writing instruments. 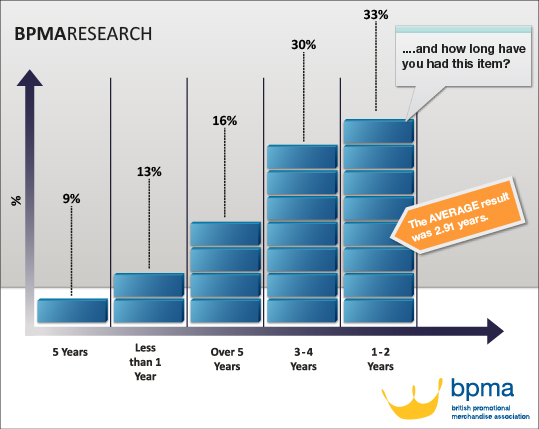 And most interesting of all, is how long recipients keep promotional items for particularly if they are useful. Consider how this compares with other advertising messages that are often short lived. So if you are planning campaigns or considering a gift for your clients, think about the value that promotional items can add to this. Call us for a quote or guidance on how promotional merchandise can be effective in your campaign.